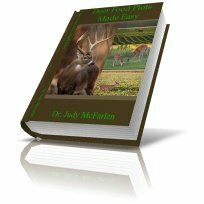 Deer Seeds | Cheap Seeds for Big Bucks! Welcome to deerseeds.com, we are a small family owned business and as such we personally attend to every order. Deerseeds.com sells only the freshest, top quality seeds for deer plots, wildlife forage, ground cover, and home gardens. We do not sell seeds marked round-up ready or genetically modified (gmo). Shipping is Priority Mail when possible, some large packages ship Parcel Post or UPS. Payments are securely processed through Paypal, paypal credit, debit and credit cards accepted, (you don't have to join paypal to pay through paypal), please contact us if you want to make payment by mail. For orders totaling over 50 lbs; This site won't figure shipping costs for orders over fifty pounds. Please email us at sales@deerseeds.com for an invoice with shipping costs. If you have any questions, need an item not listed, or need help with your order, please contact us here. What should I plant in my deer food plot? This is a commonly asked question, there are so many factors to be considered, soil type, rainfall, sunlight, soil ph, drainage, temperatures, micro climates, etc. It can be difficult to figure exactly what to plant, considering the microclimates that can exist from one field to the next. Even experts cannot tell you what to plant in your area without researching the area and doing soil tests. Plants that thrive in one area may be struggling only a short distance away. A soil analysis test is very important to your deer plots success and survival. For the best plant growth and health the soil should be in a neutral range. Most forage plants will have stunted growth, or low survival rates if the soil is too acidic.